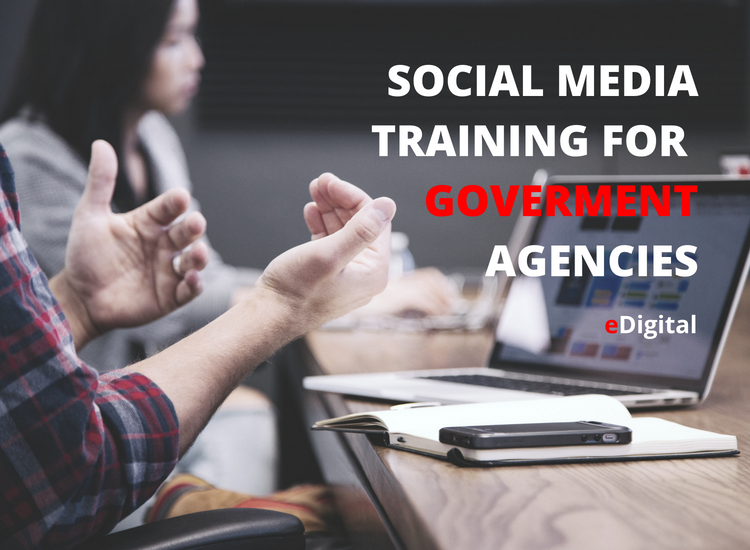 eDigital’s Social Media Training for Government Agencies are customised and carefully crafted training sessions for your exact government agency needs. We work with you to define your training needs, objectives, training content, training deliverables and dates. Is your government team intrigued by Social Media but unsure how you use this channel in a creative way that will interest your audiences? There are plenty of great examples of government organisations, agencies and departments using Social Media exceptionally well as part of a larger marketing and content creation strategy. Using social media for your government agency shows that your government department is not only knowledgeable about new social media trends, but also agile enough to apply them to your own communication needs. Mau our Senior Social Media Trainer worked for the NSW Department of Lands (Government Agency) leading its Digital Marketing and Social Media efforts as an Online Communications Consultant and offers first hand experience on how to effectively use Social Media as marketing, communication and content tool for Government departments. Our social media training programs for Government Agencies can be run anywhere in Australia and overseas including main cities such as: Sydney, Melbourne, Brisbane, Perth, Adelaide and other major cities or towns. Step 2: We will call you to confirm your Social Media training brief. Step 3: Once your brief is confirmed and all clear, we will send you a quote. Step 4: You will review our quote and if satisfied, you will make a payment. Step 5: Once payment is completed, we will facilitated the social media training for your government agency. Step 6: Once training is completed, we will offer a completed session de-brief and you will be encourage to provide feedback. Step 7: Your government team will now be ready to action the learnings.